There’s one obvious stand-out feature to consider when buying a VPN, and that’s security. After all, the entire point of using a virtual private network to access the internet is to ensure that your activity remains just that – private. If you travel for work and do business on unsecured public networks, you’ll likely need the most secure VPN available. Even if you just want a VPN to access a website in another territory, an absolutely secure connection can offer peace of mind. The top VPNs on the market today can all keep you secure, but some rely on a higher number of servers, or offer additional benefits like an intuitive interface or extra features. Here, we round up the most secure VPN options available in 2019, ranking each and explaining what makes it stand out from the herd. You can click each brand name to jump to our mini-reviews below, or scroll down a tad to see our graph charting every feature and price to expect from our top ten most secure VPNs. Tech.co ran over two dozen VPN services through an intense testing process before culling the list down to these top performers. As the graph below shows, every single VPN on this list earned a full five stars in the “privacy” category, indicating that it remained impenetrable during our tests. Due to a several other considerations, some VPNs only earned four stars in our overall category below, but they’re all among the most secure VPN services out there. While none of the VPNs here should let you down in the security department, PureVPN is our top pick, closely followed by NordVPN. PureVPN is our top recommendation for the best and most secure VPN. It’s fast, private, and packaged inside an intuitive, easy-to-set-up interface. The readable interface retains the same layout and features across Windows and Macs, as well as iOS and Android devices. 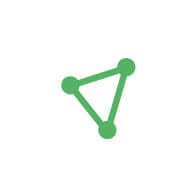 In terms of security, PureVPN includes additional precautions, which are powered by Ozone and Gravity servers. Ozone servers will filter your content for malware, while Gravity gets rid of intrusive ads for a better internet experience. The extra security precautions certainly worked during our vigorous VPN tests, which saw PureVPN nose ahead of the pack overall. NordVPN takes security seriously, offering its users a hefty 256-bit AES encryption. It’s also one of the fastest VPNs on the market, even across transatlantic connections. What’s more, it boasts the most servers out of our top ten most secure VPN services, operating on 3,600 servers across 62 countries internationally. Granted, some of the advanced settings might leave you scratching your head if you don’t have the tech-savvy to interpret them. Still, top-notch security, features and speed are more than welcome, and everything is wrapped up with a very reasonable price tag to boot. IPVanish offers advanced, detailed settings for its features. How detailed? The list of available servers can be searched by country, city, response time, or how heavily loaded that server is currently. It’s among the best of the popular brands for professional users. The price matches this level of advancement, however, and it’ll cost a bit above the average. If you’re going to take advantage of the granular feature set, it’s worth it. But if you’re just looking for a secure but simple option, keep scrolling. Torguard offers seamless security that held up beautifully during our testing. It also successfully unlocked a number of streaming video sites around the globe, even including Netflix. The service comes with more than 3,000 servers in over 55 countries. Granted, it’s not a perfect VPN: The sign-up process felt a little more laborious than it needed to, and some of the UI details make it difficult to read. Still, it’s a strong contender for the most secure VPN on this list. The price is one of the biggest boons of a Private Internet Access plan: If you pick a long-term payment plan, it works out to less than $3 a month. It’s secure and private, with over 3,081 servers working across 28 countries. The text-heavy interface can be a little intimidating, but it lets you access some advanced granular features. The speeds leave a little to be desired, but they’re not the worst – especially since any VPN will slow your download and upload speed a noticeable amount. Windscribe almost offers too many features: All the detailed functionality can be enough to scare off newcomers. Stick with it, though, and you’ll be able to enjoy a flexible service that lets you pick your server location and protocol. You can actually use this service to unlock Netflix in different regions, even though the streaming service is one of the toughest websites to unblock. 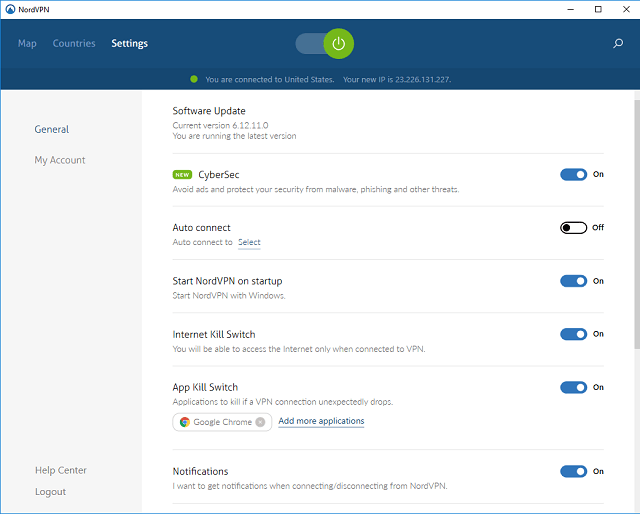 Plenty of VPN services offer a free tier with more limited functionality, but Windscribe’s free plan is one of the better ones. Proton VPN heavily prioritizes security, not just within its service (which passed our privacy tests with flying colors) but also within its company, which operates out of the notoriously privacy-conscious Switzerland and will never log your data or online actions. Real-time stats are included in the interface, keeping users aware of their download and upload speeds at any given time. Advanced features include customizable profiles that allow you to switch to a predetermined protocol, server type and location when needed. A good service for professionals. Video streaming sites that Hide Me unlocks include Comedy Central and NBC, but if your white whale is Netflix, you’ll have to keep hunting. The service will keep you and your data secure on any network, but you won’t find Hide Me on many shortlists for supercharged VPNs: It was one of the slowest our testers could find. Hide Me VPN is a dependably private service, even if a very slow one. If you value security above your speed, it’s a good pick. Did we mention it’s slow? At this point in our list, it may not surprise you to hear that Ivacy VPN’s privacy is strong. The service’s focus on security is above average, even if the rest of its offerings are middle-of-the-road, from limited features to a bumpy track record with speediness. Granted, the security options aren’t detailed or flexible: You’re getting an effective but stripped-down service here. However, it is priced competitively. If your VPN needs are solely focused on staying secure and keeping costs down, Ivacy VPN is squarely in the center of your Venn diagram. This popular service offers the ease of use, features, and privacy that make it a hit with the general population. It’s a similarly great choice for anyone who’s new to VPNs and just wants an option that’s quick, easy, and keeps their private information private. The downside? It can make your internet speeds a little unreliable, working quickly at times and slowing to a crawl at others. In addition, its prices are a little above the industry average, particularly in its per-month prices, which will run you $12.95. For the average internet user, the world of VPNs might not make a lot of sense. Why does the number of servers matter? What does that ominous-sounding killswitch really do? If you want to make an informed decision about which VPN is right for you, you need to know what each security feature can do for you. If you’re doing your own VPN security research, or if you’re simply trying to better understand the pros and cons of each of the top ten VPNs we’ve listed above, here’s a bullet point list of the terms you should know. Number of servers – A wider selection of servers makes for a faster connection; the more countries, the more locations you’ll be able to securely access. Strong encryption – The stronger the encryption, the lower the likelihood of a breach. A killswitch – This is an essential security feature: It’s an automated process that blocks all outgoing and incoming traffic if the internet connection happens to drop. 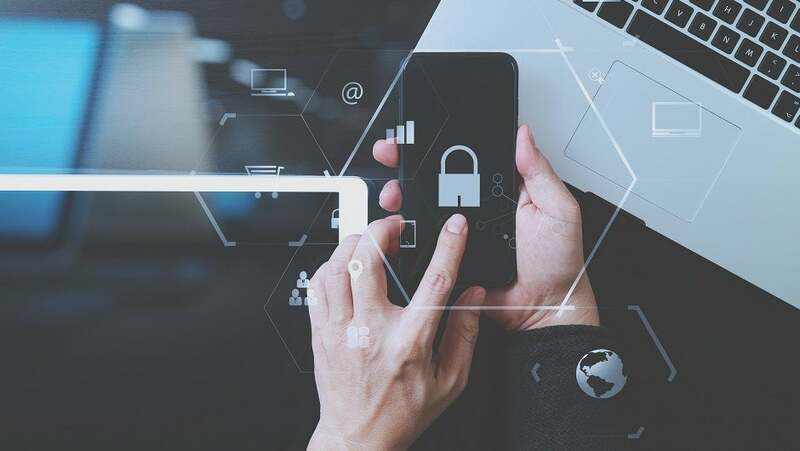 Without it, your device might try to reconnect outside of the secured VPN line, defeating the whole point of using a VPN. No-logging policy – Some VPNs will record a log of your online activity data. While this isn’t a deal breaker, you’ll boost security by opting for a company with a policy not to log anything. HTTPS when entering payment details – The extra “S” in your URL means the difference between an encrypted website and an unsecured one. Help and support options – Security is all about being proactive. You can have the most secure VPN out there and still be vulnerable if it goes down and the support team isn’t available. Almost any software subscription service is available somewhere on the internet, and they all have the same issue: You get what you pay for. Granted, this doesn’t mean that a free software can’t be useful. It’s just a trade-off in which you lose a few features, or use a clunkier interface, in exchange for keeping your budget slim. But when it comes to VPNs, even the best free VPN services are rarely the right choice: The data is limited, and most services will restrict you to just one device or only one browser. In some cases, you’ll see an increase in annoying ads and pop-ups rather than a decrease. More importantly, you can’t trust most free services not to log your data, which is the opposite of what anyone on a VPN wants. Sure, some VPN services out there are free, but there’s one priceless benefit that a paid service has to offer: True peace of mind that your data is safe.